A popular ride in amusement parks around the world is the roller coaster. They have been around for the more than 500 years. Though nothing like what we see today in most parks, the history of the roller coaster is fascinating. Known in many languages as “Russian mountains”, the oldest is believed to have been built near St. Petersburg, Russia sometime in the 15th Century. Located in New Jersey, USA, this roller coaster has been labeled as the world’s tallest roller coaster. 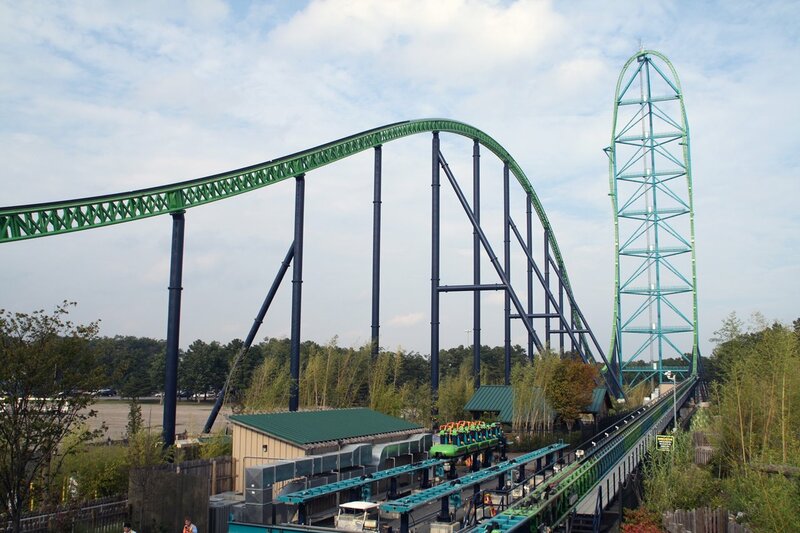 Found on the grounds of Six Flags Great Adventure, Kingda Ka reaches a height of 456 feet (139m). It was first presented to enthusiasts and the media in September of 2004. It was officially open to the public on May 21, 2005. It uses a hydraulic launch, making the ride faster with a smoother acceleration using electromagnetic and catapult launch engineering. Named after a golden tabby Bengal tiger, Kingda Ka is themed after Indian mythology. The train pulls 1.6 g’s as it accelerates to a speed of 128 mph in 3.5 seconds, it climbs a tower at a 90 degree angle reaching 456 feet, it then comes down through a 270 degree right hand spiral. It climbs a second hill that gives riders a feeling of momentary weightlessness that leads to a smooth end to the ride with the help of magnetic brakes. Stay alert and enjoy it all, this rides lasts for 28 seconds. 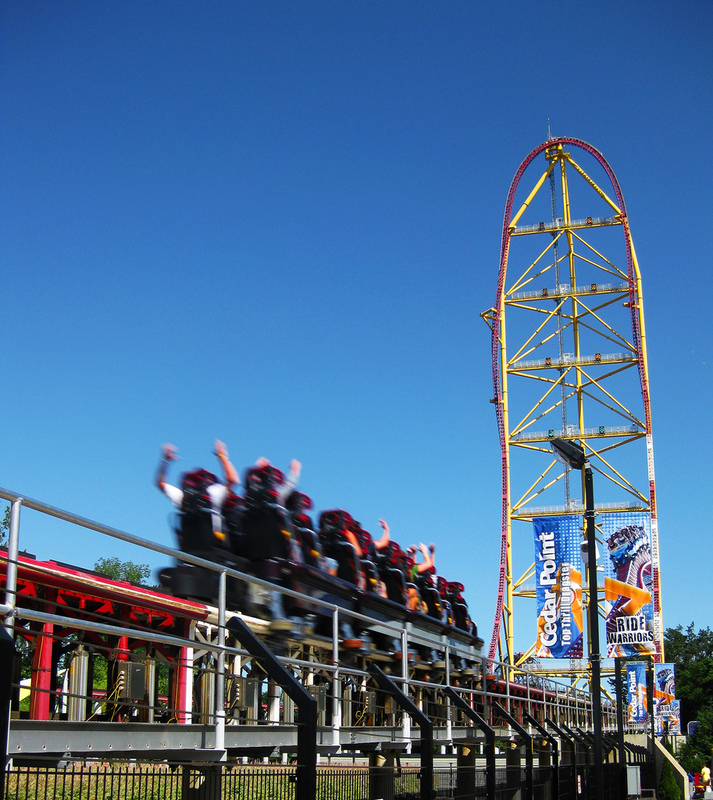 Cedar Point Amusement Park in Sandusky, Ohio is the home of the Top Thrill Dragster (TTD) roller coaster. It is the first of two “strata-coasters”, the second is the Kingda Ka. The peak of the TTD reaches a height of 420 feet. TT2 uses a hydraulic launch, giving riders an adrenaline rush. The ride begins with two trains simultaneously loaded. Before the ride begins, riders are given a feeling of being on a drag strip; complete with a “Christmas tree” light, along with engines revving, and songs associated with drag racing, thus the theme for the ride. Once it launches, it accelerates to a speed of 120 mph in 3.8 seconds. The train climbs to a 90 degree incline and twists 90 degrees counter-clockwise as it climbs the 420 foot hill. It comes down twisting 270 degrees and levels off. Like the Kingda Ka, magnetic brakes provide a smooth stop. Don’t blink! The Top Thrill Dragster ride lasts only for 17 seconds. Dreamworld Amusement Park is in Queensland, Australia. This roller coaster had a makeover and was re-launched in September of 2010, thus the name, Tower of Terror II (TT2). 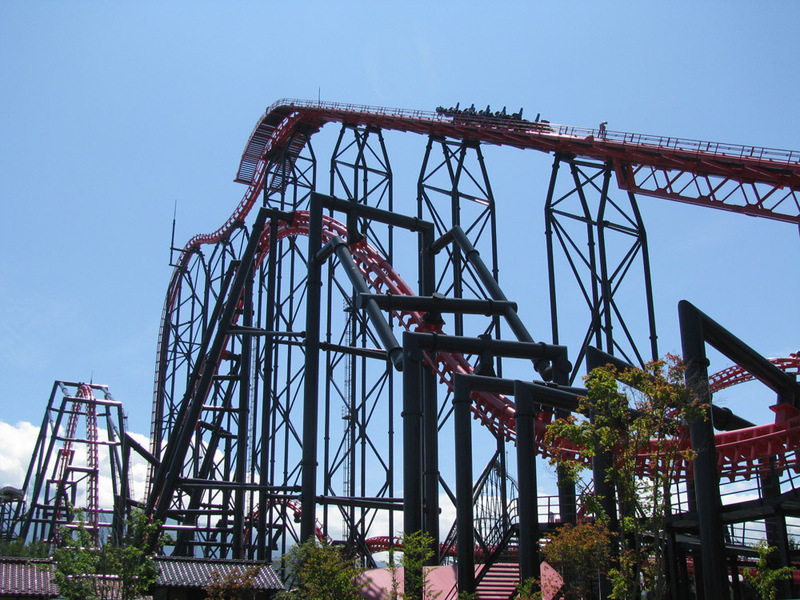 Described as a steel shuttle roller coaster, the TT2 has a maximum height of 377 feet (115m). the first Tower of Terror opened in January 1997 and was then recognized as the tallest and fastest ride in the world. The start has the riders accelerating down the track at 100 mph in 7 seconds and is launched vertically to ninety degrees. The passengers experience a pull of 4.5 g’s. the ride lasts for 27 seconds. 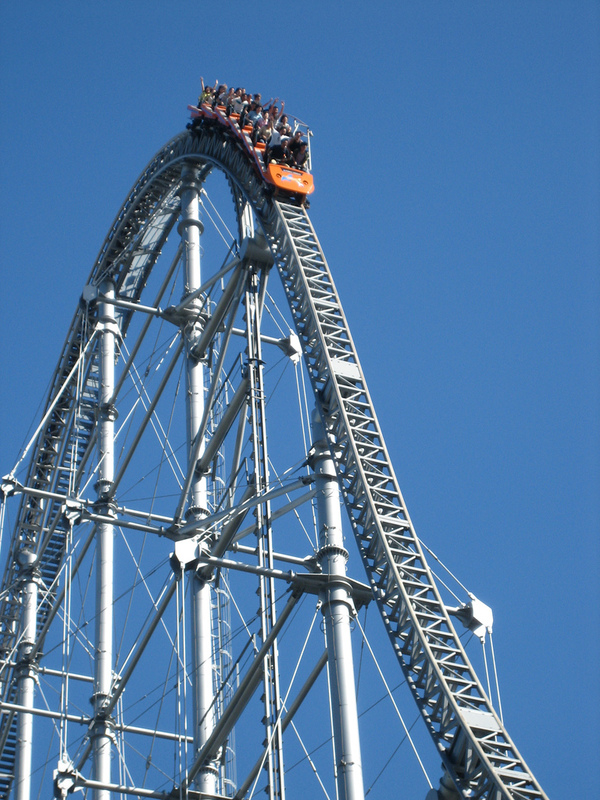 Opened during the “Year of the Dragon” in 2000 at the Nagashima Spa Land Amusement Park in Japan, Steel Dragon 2000 held several records in height in 2003. 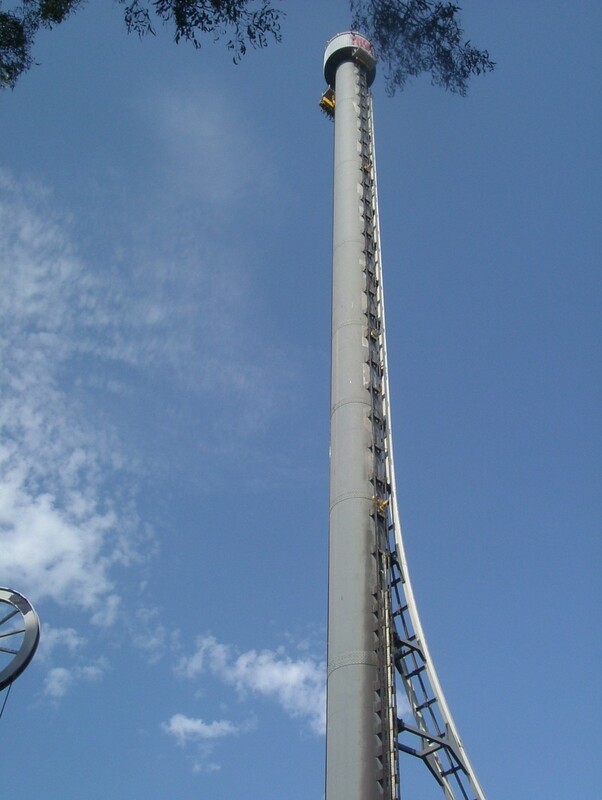 The maximum height on this ride in the Orient has it at 318 feet. It is also the tallest roller coaster that continues to utilize the traditional chain lift. Steel Dragon 2000 hits a maximum speed of 95 mph through the tracks. The layout of the tracks is best described as out and back, which is a type of roller coaster that climbs a hill, dashes to the end of the track, makes a one eighty turn and heads back to the starting point. You can make this one last a little longer; the ride duration on the Steel Dragon 2000 is three minutes and seventeen seconds. 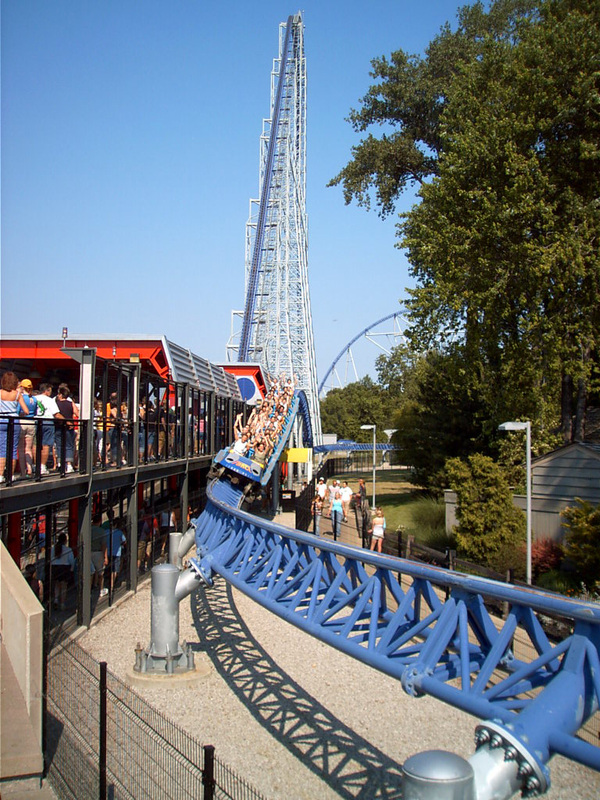 The fourteenth roller coaster built at Cedar Point Amusement Park in Sandusky, Ohio, the Millennium Force was the first roller coaster to be built at a height of more than 300 feet. Officially, it is at 310 feet. The track layout is an out and back and uses a cable lift hill to provide both lift and launching the ride. Millennium Force has four hills for you to navigate, with the first hill being the highest at; you guessed it, 310 feet. It reaches a maximum speed of 93 mph at any one time throughout the ride. Make your 1 minute, thirty second ride count and enjoy those hills, because that’s how fast ride lasts. 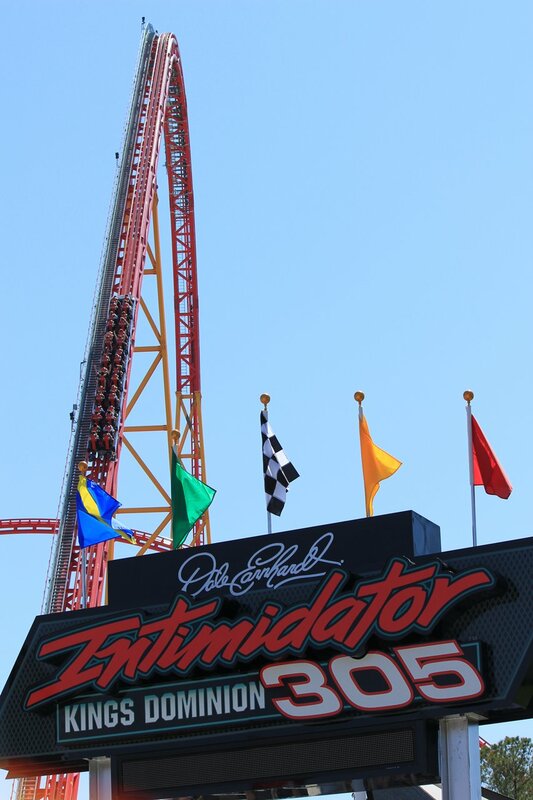 Another product from Intamin Worldwide, the Intimidator 305 is found on the grounds of Kings Dominion Amusement Park in Virginia. The height of 305 feet is only bested by the drop of 300 feet as you reach speeds of up to 90 mph coming down. The cable lift hill is the lift/launch system of this roller coaster. The ride lasts more than a minute and a half. It was opened to the public the day after April Fool’s Day of 2010. Construction began in 2009 and the final test run of the 305 was completed on March 14 of 2010. Tokyo Dome City Attractions amusement park in Tokyo, Japan provides visitors and roller coaster enthusiasts with the Thunder Dolphin. Ranked as the sixth tallest roller coaster in the world, the Dolphin has a max height of 262 feet. Reaching a maximum speed of eighty miles per hour, the Thunder Dolphin ride lasts a minute and a half. With 3,500 feet of track, the ride goes through two holes; one through the LaQua building and the next through the world’s first hub less Ferris wheel, the Big O. The Thunder Dolphin is able to accommodate 1660 riders per hour. 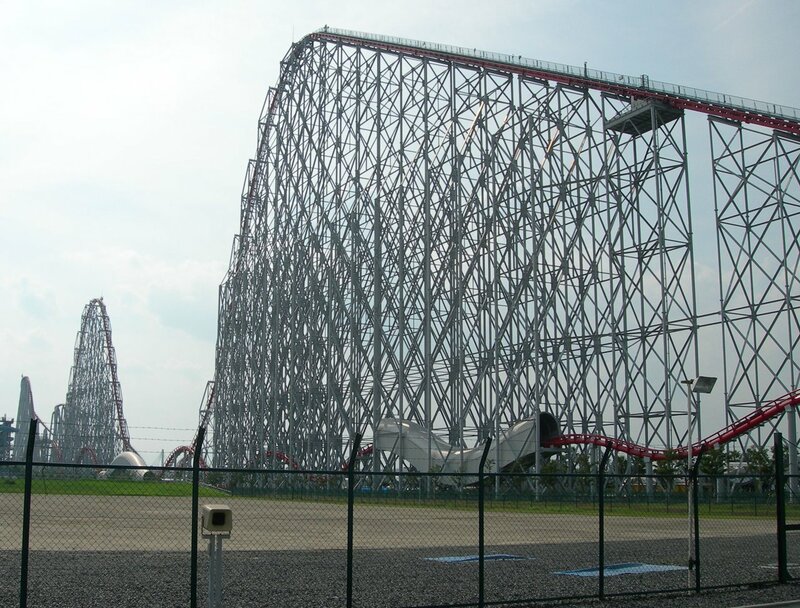 At 259 feet, the Fujiyama had the title of world’s tallest roller coaster in 1996 when it opened. The location of Fuji-Q Highland Amusement Park is close to Mount Fuji, which is just west of Tokyo. This typical out and back roller coaster adds several elements that have given people a thrill including a first drop that’ll make you scream. The G force you experience reaches 3.5g’s, with speeds reaching 81 mph. as you take on the Fujiyama, enjoy the nearly one mile and a quarter of track which lasts three minutes and thirty-six seconds. They use chain for the lift and launch system. 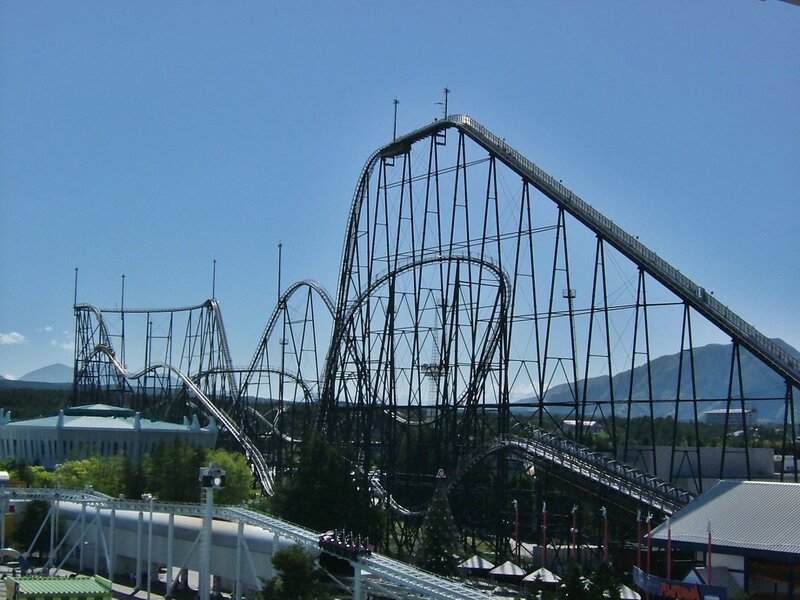 Still on the grounds of Fuji-Q High Land in Japan, Eejanaika is only the second fourth dimension roller coaster in the world. Fourth dimension is a type of roller coaster wherein your feet dangle off the ground with riders on each side of the track and the seats spin along a horizontal axis. The first and other 4th dimension roller coaster is in Six Flags Magic Mountain in Valencia, California. Eejanaika, which opened in July 2006, has a maximum height of 249 feet. Eejanaika means “Ain’t it great!” in Japanese. This ride goes as fast as 78 mph, and that includes going through several inversions. The steepest angle on this roller coaster is 90 degrees and is able to give 1000 riders per hour, a ride to remember. 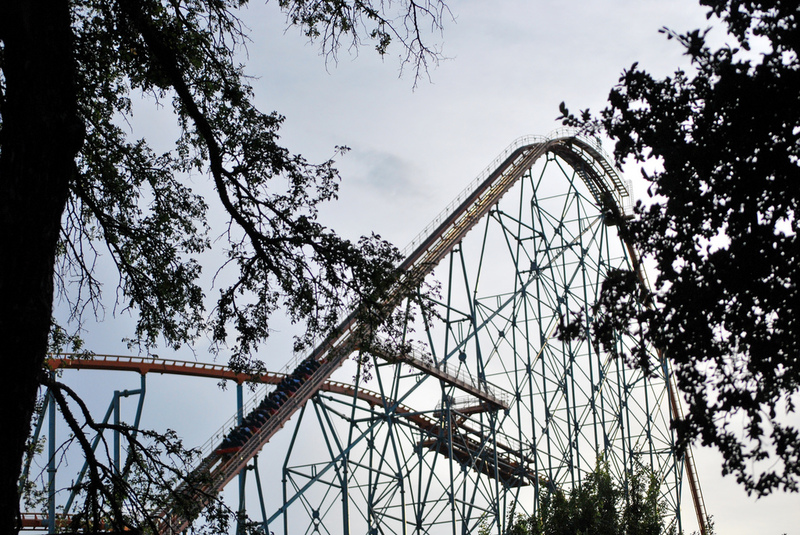 Located in the Lone Star State in Arlington Texas is a hyper-coaster known as Titan. It is a combination twister and out and back roller coaster. The ride starts by taking the riders to its maximum height of 245 feet; this is followed by a 255 foot drop into a tunnel, through a Carousel, and later enters 540 degree helix, twice. By definition, a hyper-coaster is a roller coaster that has been built to give the rider a sense of weightlessness or airtime, and speed. Normally a hyper-coaster consists of three main features: hills, little or no inverting component, and has a minimum height of 200 feet. A ride on Titan lasts for three minutes and 30 seconds in which you might reach speeds of up to 85mph.